Do not miss your opportunity to own a newer detached infill in Renfrew, with a short walk to shopping, fantastic diners and downtown. 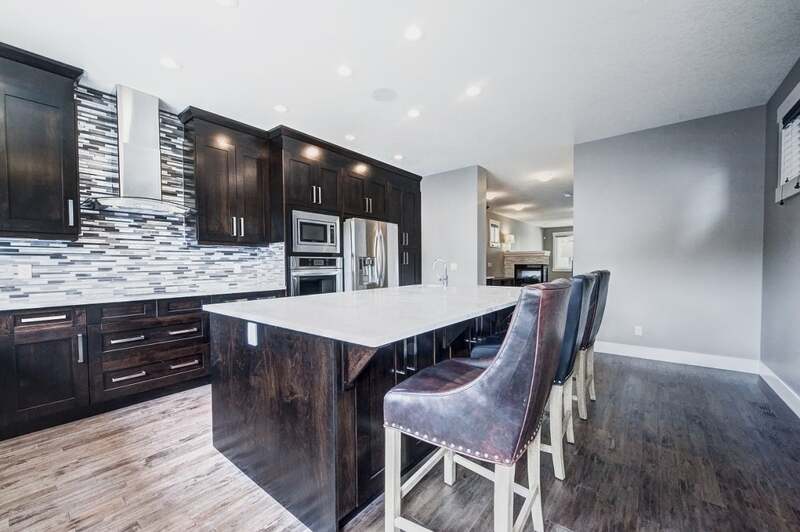 Inside there is a gorgeous chef's style kitchen with an oversized island, custom cabinetry, granite counter tops, high end stainless steel appliances and induction cook top. The open concept main level is nicely tied together by hand scraped maple hard wood floors while the three sided gas fireplace separates the family room and the dining room. A tucked away powder room completes this level. As you walk up the open rise stair case, notice the open feeling the sky light brings to the upper floor. Offering three bedrooms, laundry and a master suite with walk-in closet, plus luxury ensuite with double sinks, soaker tub and custom walk in shower. The lower level offers an additional bedroom including walk through closet, full bathroom, additional living room with wet bar. In the south facing, fully fenced yard you will find a low maintenance patio and double detached garage.